A new weekend is awaiting. Have a wonderful one ! These great tiny works by illustrator Monja Gentschow are shown at the Monur exposition in Berlin. I love the way they’re displayed. Becky Adams uses stitched paper, vintage fabric, sketchbook and antique ephemera to create intricate paper and book works. She considers her work as a recollection of past experience. She uses all recycled fabrics, including old thread. 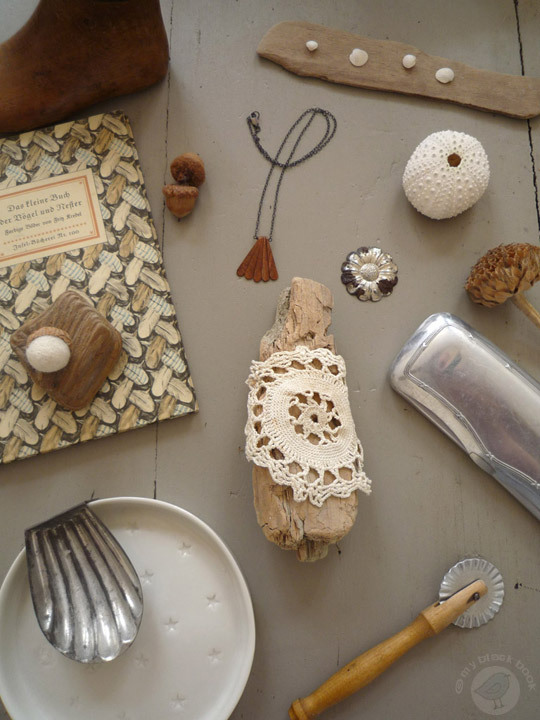 Many of the materials are from her grandparents’ old house which is part of her instinct to preserve the past. 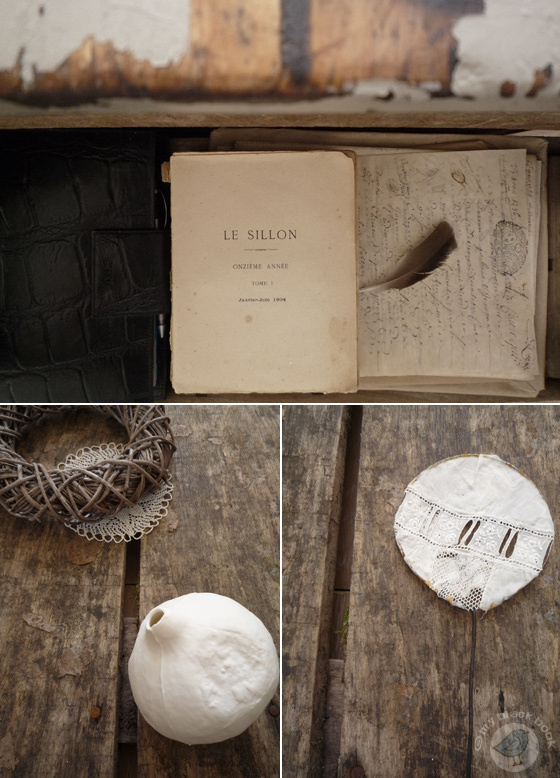 A little bit of botanical beauties, a bit of voodoo, a smidge of anatomic and a pinch of superstition… the universe of Lyndie Dourthe is a fantastic cabinet of tiny curiosities. The artist creates beautiful floral pieces and other curiosities with delicate paper and fabrics. She draws her inspiration from nature including the complex forms of insects, natural colours; the art of origami and various traditional papercrafts. Captivating ! 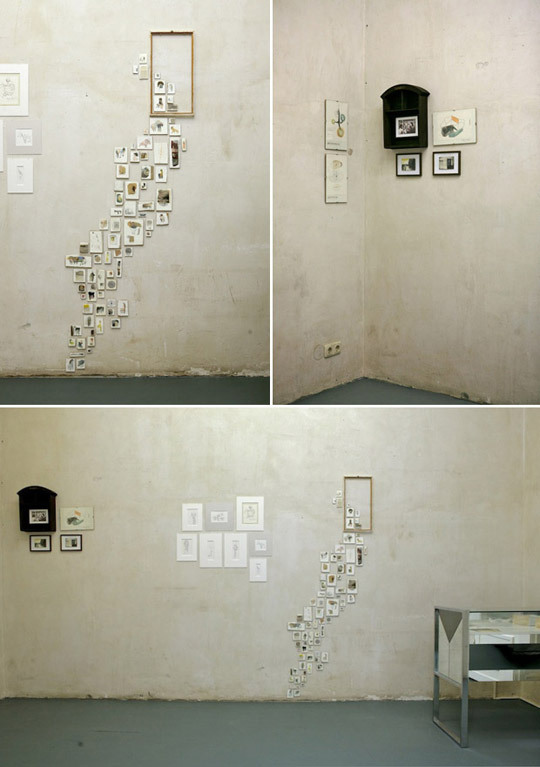 I fell in love with these arty collages of Anja Mulder. The weekend is so close, any projects? Enjoy it! Peter Blake, the grandfather of the British Pop movement, is an inveterate collector of everything from pop culture to found objects and seaside detritus. His sculptural compositions and collages show the energy and lightness of touch he brings to his work. 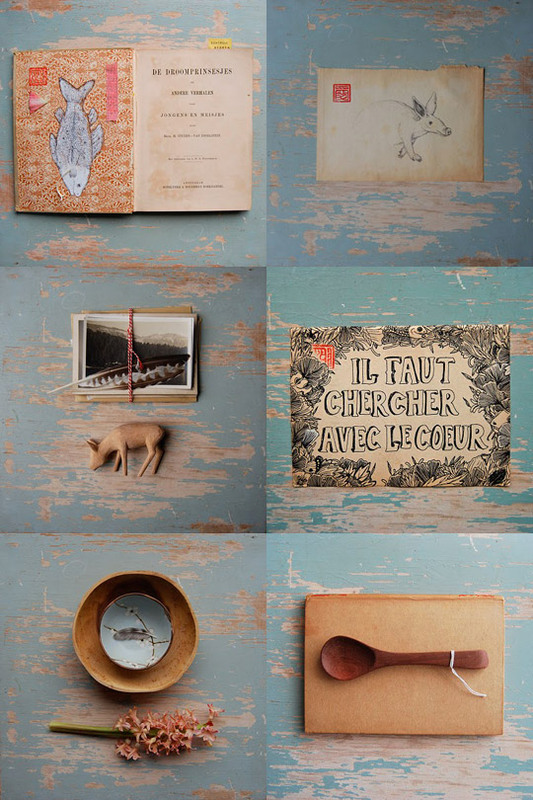 As long as I can remember, I am fascinated by cabinets of curiosities. 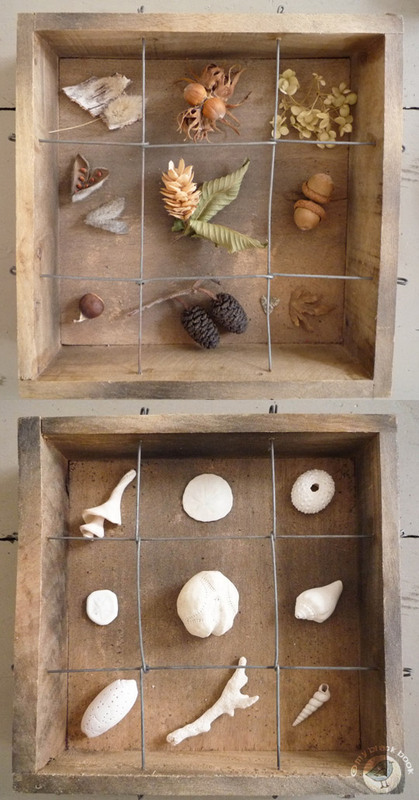 Yesterday I created my own little wunderkammer, a personal collection of natural specimens with a sense of wonder. It’s a kind of personal approach of anything that is strange and interesting, provoking a sense of curiosity and inspiring me in many different ways.